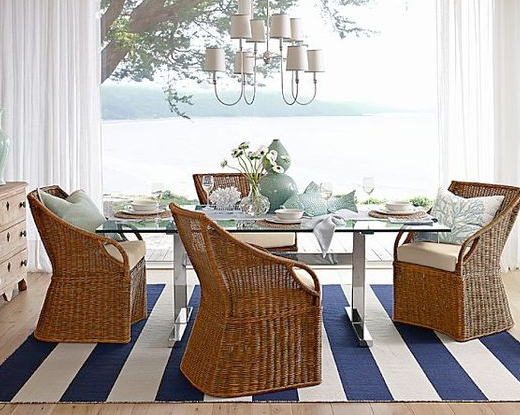 Coastal theme interiors with eye catching blue and white striped area rugs. 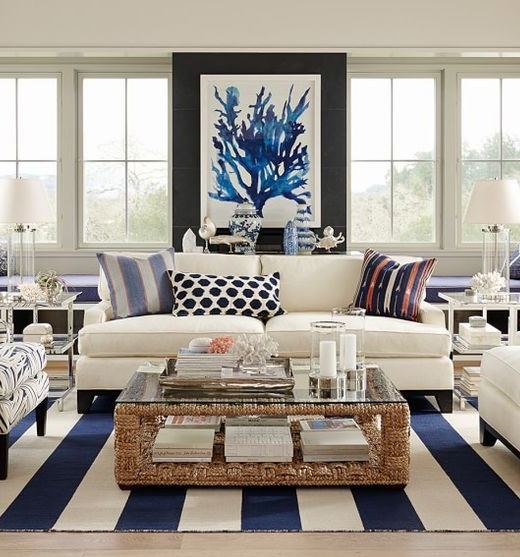 Rugs in rich shades of blue and navy. 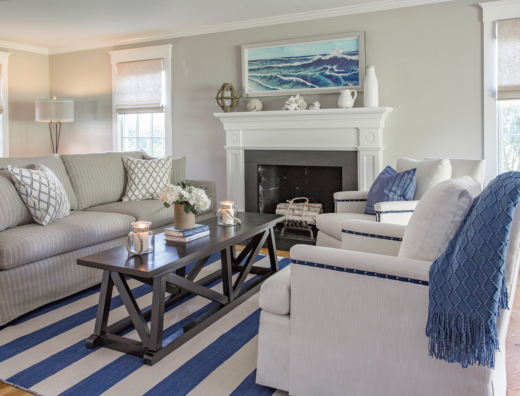 Blue and white striped area rug in the coastal living room of a Martha's Vineyard Home. 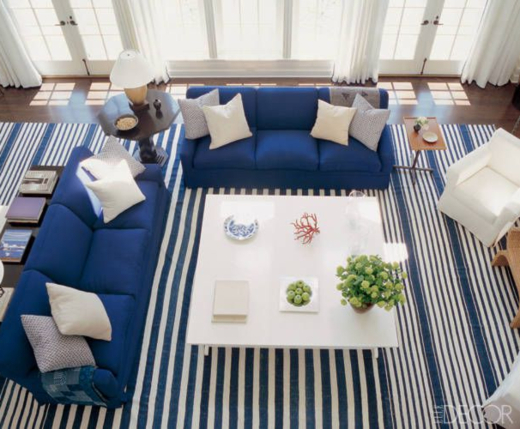 Blue and white striped rugs have risen to stardom in the interior design world with the movie Somethings Gotta Give. The wider the blue and white stripe design, the bolder the look. 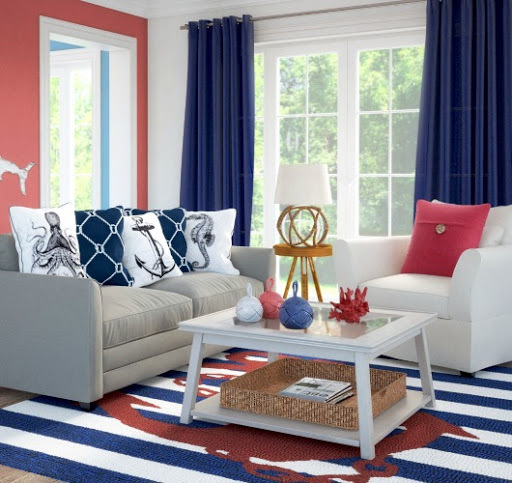 Large navy blue striped area rug complemented by Blue Coastal Wall Art. 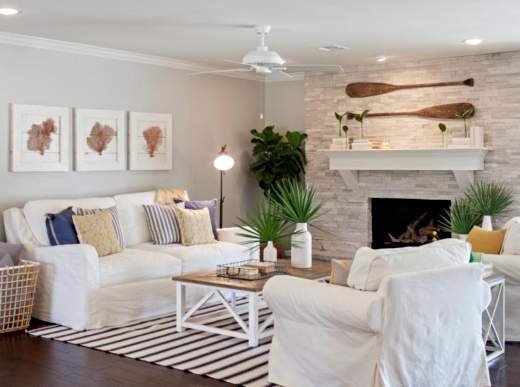 featured on 21 Nautical Living Room Decor Ideas. Via BHG. 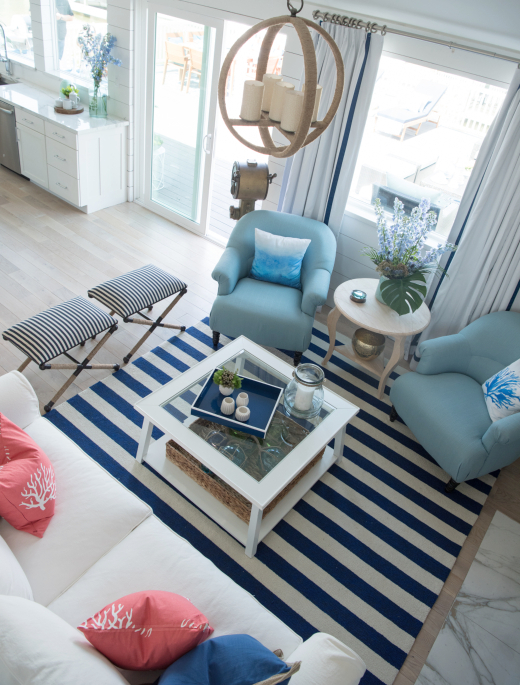 Coastal living room with blue striped statement rug by Beth Lindsey Interior Design. Note: This is the same stylish coffee table as above. 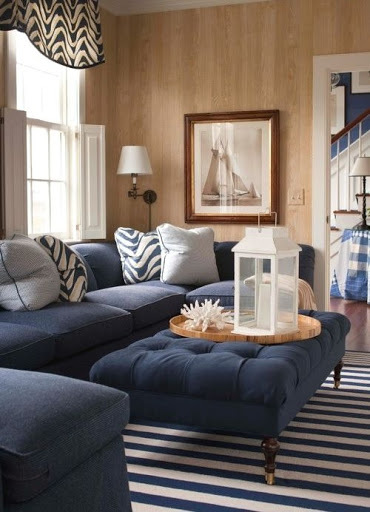 Sailor chic stripes in a nautical living room by Victoria Hagan, featured at Elle Decor. 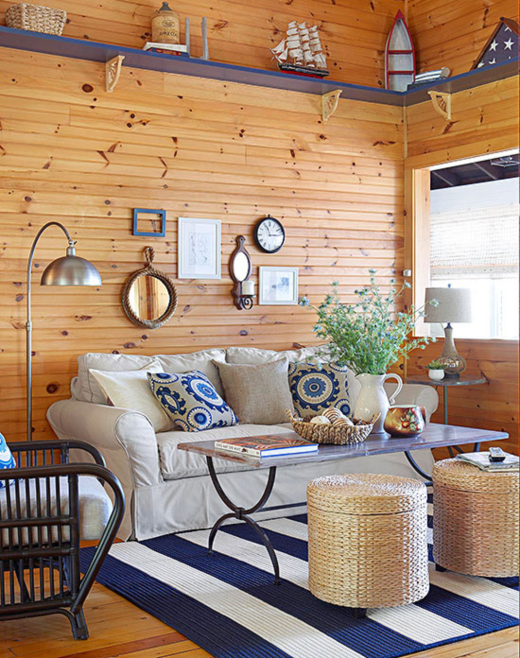 Navy blue nautical living room design idea from a Nantucket Summer Home on Houzz. 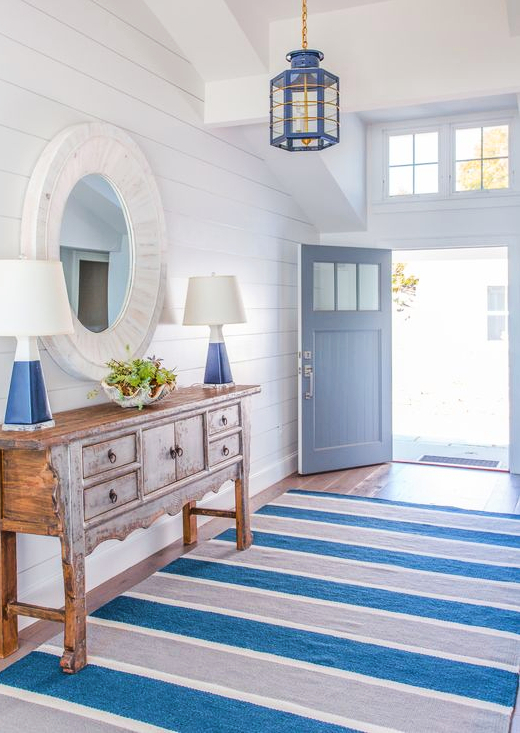 A variation of a blue striped rug seen in the Entryway of a coastal home by Molly Frey.